Today we are handing over a petition addressed to His Excellency Mr. Kofi Annan, Secretary-General of the United Nations, appealing him to lead the world community in demanding the immediate and unconditional release of Dato’ Seri Anwar Ibrahim. 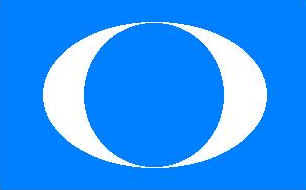 This petition was launched on 14 October 2000, as part of the national-level ‘Free Anwar Campaign’. Many appeals have been made to the authorities by various sectors of Malaysian society, but they have fallen on deaf ears. We are now inviting the world community to add its voice to ours. In the last decade or so, the international community has shown increasing concern for gross injustices taking place in different parts of the world. The oppression of the weak and dispossessed; violations of the rights of specific groups of people; and indeed the abuse of the dignity and honour of individuals have attracted the attention of international institutions, governments and non-governmental organizations (NGOs). The sacking of Anwar as Deputy Prime Minister and Deputy President of the ruling United Malays National Organisation (UMNO) and his subsequent arrest, assault and imprisonment are tantamount to a travesty of justice. 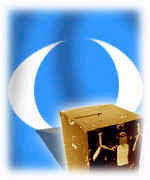 He has been subjected to farcical trials which have outraged the international judicial and legal fraternity. It is obvious to all and sundry that Anwar is a victim of malicious, vicious political persecution. He posed a challenge to Prime Minister Dr. Mahathir Mohamad’s authoritarian might and the corruption and cronyism that taint his regime. This is why he had to be removed from position and power. This is why he languishes in prison today. This is why the international community has to respond to the injustice perpetrated against the man. Anwar was a good and capable leader with a sincere commitment to the well-being of the people, especially the poor and the marginalized. It explains why the nation was shocked when he was expelled from public office. Malaysians had been eagerly awaiting the day when he would succeed the present Prime Minister in the normal political process, and we still feel very emphatically that he is the best candidate for the post. As women – and we are confident that we speak on behalf of an overwhelming majority of Malaysian women – we were shocked and appalled at the injustice and sheer cruelty inflicted upon Anwar and consequently also on his family. A mother grieves deeply over the sad plight of a son who contributed so much towards the welfare of the people of Malaysia and even further afield. A wife who had given up her personal career to serve the nation full time as the Deputy Prime Minister’s wife, is now in effect a single parent, obliged to push aside her own trauma to help her children cope with theirs. She also has to see to the complex affairs related to her husband’s situation, as well as try to keep him in good spirits during the brief visits she is allowed. She has also had to take on the heavy burden of leading a new political party, although lacking in direct political experience. To compound matters further, in all these spheres she has had to face persistent harassment and obstacles deliberately placed in her way by the authorities. At this juncture, with Anwar once again seriously ill in hospital, there is an added urgency to our appeal. His present condition serves to underline the authorities’ total and callous disregard for Anwar’s health, indeed the very safety of his life. This would seem to indicate an absence of fundamental human feelings in our leaders, which all Malaysians, and women in particular, find reprehensible and falling way below our expectations of worthy leaders. Muslims have just completed the month-long fast of Ramadhan and celebrated the ‘Id festival. Followers of other religions have also recently celebrated, or are soon to do so, major festivals of their own. For all Malaysians therefore it is a time for acknowledging one’s faults and mistakes, and for making earnest efforts to make amends. What more opportune moment could there be for righting this shameful wrong?